Medicine is at a “critical inflection point,” write Victor Dzau and J. Michael McGinnis of the National Academy of Medicine (NAM) and Mark McClellan of Duke University (JAMA 8/16/16). The NAM is launching a massive initiative on “Vital Directions for Health Care” at a Sep 26 meeting in Washington, D.C., (http://tinyurl.com/z4shr2b), bringing together more than 100 “trusted health and health care leaders” to “ensure nonpartisan, evidence-based analysis” in the context of the upcoming change in administration. NAM has appointed itself “adviser to the nation.” The trusted experts are from academia (Harvard, Duke, Dartmouth, Columbia, and many others), the Robert Wood Johnson Foundation, the Commonwealth Fund, the American Hospital Association, UnitedHealth Group, etc.—the Clinton Task Force on Health Care Reform has reconvened. (See http://www.aapsonline.org/judicial/aapsvclinton.htm). Prominent names include “Chris Cassell,” now of Kaiser Permanente (Dr. Christine Cassell, former president of the American Board of Internal Medicine); Dr. Robert Kocher of Venrock (proud ObamaCare architect, who recanted on the idea that big consolidated practices were always better, WSJ 7/31/16, http://tinyurl.com/z8rsr6y); Don Berwick; former Sen. Tom Daschle; former Sen. Bill Frist; Gail Wilenky; and Karen Ignagni. PhRMA is there, along with Amgen, Merck, Sanofi, and Takeda. Health information technology, hospitals, and managed care are well represented. Independent physicians are absent. “This is a massive effort to impose capitated payments,” writes Brant Mittler, M.D., J.D. “The Holy Grail of all these planners…is a fully capitated system.” They also promote “population health, which medicalizes social problems like poverty and drug addiction, shifting their risks onto the medical system, while preserving the ability of big Pharma, big hospital chains which own a lot of doctors thanks to Obamacare, big insurance companies, HMOs, big universities, the medical device industry and health care experts and consultants to continue to milk the system for profits.” This means a massive risk shift onto the backs of practicing doctors and their patients. Private insurance will be squeezed out of the marketplace, predicts Stanley Feld, M.D., by premium control and regulatory control over access to care. Instead of bearing risk, the industry will administer government programs (http://tinyurl.com/gsh2y47). Mathematically, an inflection point is the point on a curve at which the sign of the curvature (the concavity) changes. In industry or a geopolitical situation, it is the turning point for a dramatic change, either positive or negative. We can identify a couple of historical inflection points in American medicine. Flexnerian reform began around 1910, based on the Progressive philosophy of “scientific management” of human affairs. The Flexner “muckraking” report, produced in close collaboration with the AMA, called for closure of all medical schools that did not meet a certain scientific standard, and for licensing laws. Funding from the Carnegie Corporation and the Rockefeller Foundation facilitated a change in public sentiment. As many as 22% of existing medical schools closed or merged including all but two of seven schools for blacks. The number of medical students declined from 28,142 to 13,798 between 1904 and 1920 (http://www.jpands.org/vol8no2/hiatt.pdf). The immediate outcome was a dramatic increase in medical prices—and in health care disparities. Access to care in rural and poor areas was especially problematic. The question is whether no care at all is preferable to substandard or non-standard care, writes Michel Accad, M.D. (http://tinyurl.com/gtsad29). During the Great Depression, efforts to assure payment for hospital services intensified. Insurers were reluctant to enter the medical field because of fear of adverse selection. State-level legislation enabled pre-payment plans such as Blue Cross and Blue Shield to obtain tax-exempt status and to operate without the reserve requirements imposed on commercial insurers. Then the federal Stabilization Act of 1942 exempted health benefits from payroll taxes. The number of insured persons increased from 10 million to more than 80 million between 1940 and 1950. Once again medical costs soared, and like in 1920s, medical leaders attributed this to scientific advances (http://tinyurl.com/hrfesfn). In 1954, AAPS founder Rollen Waterson, who became the executive director of the Alameda County Medical Society (Oakland, Calif.), explained many of the cost problems in California Medicine, May 1954, pp 421ff, http://tinyurl.com/hw3okoj). Many of the same insights are reiterated in Jeff Danby’s new book Common Sense Medicine (http://tinyurl.com/jy6jenp). After the new inflection, the curve can proceed to centrally planned scarcity and tyranny—or back to freedom. Yours can be one of the first Wedge of Freedom practices. Go to http://www.jointhewedge.com. Click on “join” and choose “doctors.” Enter the simple information requested. Interest of $1.2 trillion over the next 12 years, at a rate of 3.5%, on nonexistent assets (cf. 0.3% on citizens’ bank accounts and 1.4% on a 10-year Treasury bond). Annual growth rate of 5.1%, with no slowdowns, cf. 2.8% over past 7 years (5.1% is higher than any year in this century). Payroll tax revenue of $1.425 trillion in 2026 cf. $1.1 trillion projected at current growth rate (http://tinyurl.com/zcxoe25). Antibiotic resistance has been declared a crisis by CDC, WHO, and President Obama. CDC has responded with a set of Core Elements of Hospital Antibiotic Stewardship, used by more than 25 experts and stakeholders in a program convened by the National Quality Forum to develop the Antibiotic Stewardship Playbook. All facilities receiving CMS funding will be required to participate in the program (http://tinyurl.com/gmbajxt). In 21 references to “nationally recognized guidelines,” the Rule expressly mentions IDSA seven times, with no mention of the investigation by the State of Connecticut that found undisclosed conflicts. “IDSA continues to work to the advantage of insurance companies by denying the extent of chronic Lyme disease and the benefits of long-term use of antibiotics,” AAPS writes (http://tinyurl.com/jggk5m9). Lyme patients are petitioning Congress to investigate CDC and IDSA (http://tinyurl.com/jo2f9dp). Not only have seriously ill patients been denied treatment, but doctors who offer it have been investigated, harassed, and threatened with the loss of their medical career, as detailed by Kenneth Liegner, M.D., in his book In the Crucible of Lyme Disease (http://tinyurl.com/glq5vv9). Physicians’ offices may be targeted next. A study funded by the Pew Charitable Trusts (http://tinyurl.com/hyycybx) stated that 30% of antibiotic use in all conditions, nearly 47 million prescriptions per year, was inappropriate. The White House set a goal of reducing that by 50% by 2020. Use was deemed unnecessary in 34% of sinus infections, 51% of cases of pharyngitis, 100% of nonsuppurative middle ear infections, and 100% of the time in bronchitis or bronchiolitis. The stakeholders that need to cooperate to achieve the goal include health systems and plans; federal, state, and local health agencies; and health care quality associations. Methods include audit and feedback, and “decision support tools” such as guidelines, flowcharts, and electronic alerts. The ACA Innovation Center has 500 bureaucrats developing cost-containment strategies that encourage rationing. At least 75 “innovation models” have been released, several mandating hospital participation nationwide (http://tinyurl.com/hhqanc2). The largest HMOs are dropping out of Exchanges, but maintaining a toehold: UnitedHealth Group in three of 34 states, Humana in 11 of 19, and Aetna in four of 15. If a plan drops out completely, it can’t participate again for 5 years. HMOs must want to stay, states Twila Brase. They have a history of dropping enrollees—until Congress meets their payment demands. They have nothing to lose by playing hardball. “Obamacare eliminated their only real competition—affordable indemnity insurance—and Congress has nowhere else to go” (http://tinyurl.com/jbp7a8r). In 1889, the U.S. Supreme Court held in Dent v. West Virginia that states could impose “reasonable” licenses for various professions. First were licenses for physicians, dentists, and lawyers. By 1920, only about 30 U.S. occupations required any sort of license. By 1950, 5% did, and now it’s 30% and climbing. Meanwhile, worker productivity is shrinking (http://tinyurl.com/zt26ddq). In 2016, 35,476 medical school graduates applied for 30,750 residency positions. That’s 4,726 doctors with a $250,000 education who can’t work in their field for lack of a license; one is working as a waitress (http://tinyurl.com/hl6n9xv). For ordinary people, ignorance of the law is no excuse. And under HIPAA, a physician who treated protected patient information the way Clinton treated classified emails would be liable for huge fines, prison terms, and civil suits. For doctors, the fundamental principle that a felony conviction requires proof of mens rea (criminal intent) has been explicitly written out of the law. Authors of ObamaCare altered §6402(f)(2) of the Anti-Kickback Statute to say “a person need not have actual knowledge of or specific intent to commit a violation (Am Spectator 8/29/16, http://tinyurl.com/glqv5lj). USC Title 18. Section 2071. “(a) Whoever willfully and unlawfully conceals, Removes, Mutilates, Obliterates, or destroys, or attempts to do so, or, with intent to do so takes and carries away any record, proceeding, map, Book, Paper, Document Or other thing, filed or deposited with any clerk or officer of any court of the United States, or in any public office, or with any judicial or public officer of the United States, Shall be fined under this title or imprisoned not more than three years, or both. “(b) Whoever, having the custody of any such record, proceeding, map, book, document, paper, or other thing, willfully and unlawfully conceals, removes, mutilates, obliterates, falsifies, or destroys the same, shall be fined under this title or imprisoned not more than three years, or both; and shall forfeit his office and be disqualified from holding any office under the United States….” Mukasey retracted his initial statement that this disqualified Clinton to serve as President of the U.S. when legal scholars pointed out that the law cannot override the U.S. Constitution, which sets the qualifications for the office of President. “What we are witnessing is the chaotic result of a society that is becoming each day more lawless. The basis of a civilized, decent and just society is law. But law, if it is going to be respected, must be rooted in core values and eternal truths. In the words of our second president, John Adams, we need ‘a government of laws, not of men.’ In our zeal to purge our nation of Judeo-Christian values, driven by the false notion that religion hampers rather than enhances our freedom, we bear the consequences of this effort. We wind up with a government of men, not laws. “Capriciously applied law has always been a disturbance for blacks. The civil rights movement was supposed to be about the country recognizing and remedying that…. Unfortunately, the civil rights movement came in the midst of the liberal wave of the 1960s. So instead of focusing on equal application of existing laws of tradition, we turned law over to men to make up new rules…. “But man-made law produces what we have just seen in a politically motivated FBI director rationalizing that a secretary of state…couldn’t figure out that she was breaking the law…. “When we don’t take law seriously at the highest levels of power…, the message reverberates throughout the land…. No amount of force…is going to fix a society where there is no longer a sense that we have law rooted in truth…. Reporter Ronald Kessler writes that reports of two former FBI agents involved in the investigation are now missing from the National Archives. The reports are said to document Hillary Clinton’s humiliating rebuke of her former friend and mentor in the presence of White House aides, which was possibly related to his death a week later (http://tinyurl.com/jj3xdot). In reviewing Task Force files eventually released to the Archives, AAPS found that some important boxes contained only a signed statement acknowledging the legal obligation to preserve all documents, and a statement that there were no documents. Robert Kocher (see p 1) did do a “stunning about face” from his stand in the Annals of Internal Medicine in 2010, when he wrote that physicians who embraced the opportunity to organize into increasingly larger groups “are likely to deliver the greatest benefits to their patients, the health system, and themselves.” However, while now recognizing that smaller practices can innovate better, he has helped found a company, Venrock, and is on the board of another company, Aledade, to help physicians stay independent—by joining an ACO. The fee for the help ranges from $500–$3,500 per month (http://tinyurl.com/hfsxh6x). FBI director James Comey was appointed a director of the Swiss bank HSBC Holdings in March 2013. (He resigned to head the FBI in August 2013.) HSBC is connected to the Clinton Foundation through a number of initiatives. Comey’s connection, even if tenuous, is one reason to appoint a special prosecutor, as demanded by Rep. Bob Goodlatte (R-Va.) and Rep. Trey Gowdy (R-S.C.), to investigate Clinton’s use of email or the use of the State Department to raise money for the Foundation (http://tinyurl.com/hb4m3us). It is also stated that he has been involved in a long series of Dept. of Justice actions that had a favorable outcome for the Clintons (http://tinyurl.com/hgqxudd). ObamaCare Year 6. Independent Health has dropped CCS Oncology of Buffalo, a large independent group, because it wants to move from a fee-for-service to a “value-based” payment method. Fee-for-service medicine is being deliberately and systematically eliminated by ObamaCare. Aetna has joined the exodus of insurers from Exchanges; losing hundreds of millions of dollars is not a viable business model. The high-deductible health plan plus health savings account was supposed to save the market. But the HDHP pool has been mixed in with the rest, and HDHP subscribers forced to subsidize poor-value, high-cost, first-dollar coverage pools. Networks are narrow, featuring only the cheapest doctors. ObamaCare is coming to resemble Medicaid for all—except with a high deductible. What type of market is it where taxpayers must subsidize both buyers and sellers of a product? Will Health Insurance Devour All Household Income? A patient told me that his insurance premiums are going up. He now pays a premium of more than $24,000/y, with separate deductibles of $14,000 each for himself and his wife. (This is not an ObamaCare plan, which would have been even more expensive.) He also contributes $6,500/y to an HSA. Median U.S. household income is $52,000. The medical system has become one giant wealth confiscation and redistribution scheme. Panels. I used to think we needed more health panels—that my food would be toxic, my medication harmful, and my safety gone without them. I believe I was mistaken. The medical world is full of panels, and things seem to be more confusing and arbitrary than ever before. An advisory panel warned against routine closure of small holes in the heart (PFOs) to prevention recurrent strokes of unknown cause: the number needed to treat (NNT) for 3–4 years to prevent one stroke was 56. Yet the FDA had just approved the procedure! The NNT for panel-approved aspirin is 217; for Plavix, 221. Yet government panels will grade and pay doctors based on their use of these therapies. The real choice of therapies should be yours—but nobody in D.C. is proposing that. U.S. Mortality Rate Up. For the first time in a decade, U.S. age-adjusted mortality rose between 2014 and 2015, from 723.2 to 729.5 per 100,000, according to the CDC’s National Center for Health Statistics. The chief of mortality statistics said more data were needed to know what it means (http://tinyurl.com/zl5qt26). Two years ago I predicted that the best business in town would be a funeral home. The U.S. third-party payment system is designed to kill. Here in Peru I am happy and free. We have a free-market medicine system and practice medicine in a simple way designed for customer satisfaction. No government or insurance issues. Medical records are yours. I’m not afraid of lawsuits or of being accused of fraud because of a coding error. The Enemy. The rise of political correctness and consensus science dictated by an insider group of experts is part of a strategy started by Otto von Bismarck. He created an army of “experts” to intimidate and neutralize the middle class—the basic enemy of most politicians and the elite. Bourgeois work ethic, mores, and family ties are evidence of the superficial poseur status of the elites, so the common folk must be controlled and demeaned. Academics envy successful private physicians; social science people or politicians in mandarin positions hate businessmen. The intellectual elites, writes Albert Jay Nock, need to keep the classroom thing going so they can feel superior. 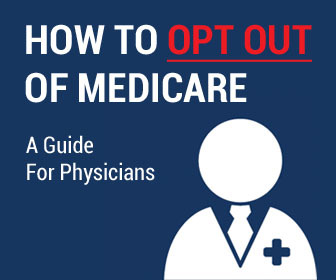 AMA and the “Public Option.” In 2009, I spoke with AMA president Jim Rohack after he told the media that AMA supported the first House version of what became ACA, which contained a public option—which the House of Delegates had specifically rejected just 3 weeks earlier. He said it was like a baseball game. We were only in the second inning and could not afford to give away our signs. I responded that Washington, D.C., was like a baseball game in Yankee Stadium. We were playing against a Yankee team with all-stars in every position—and we are a rugby team. I won’t participate in a game that is rigged. Missing Key. The patient becomes the arbiter of quality when the patient is empowered to direct the money to the doctor. That is the key to real medical funding reform. Schemes to pay psychiatrists and primary physicians independent of actual patient interactions pervert the patient-physician relationship. ACOs and HMOs reward doctors for doing less or avoiding patients, and employed/salaried doctors (especially when associated with rich pensions) must either play the hiring institution’s game or say good-by. It is argued that independent doctors have the incentive to reduce quality to make more money: patently untrue. In my private psychiatry practice, success was measured by helping patients deal with their problems rather than by DSM or ICD codes.